How Much Can I Earn Above My Social Security Retirement? Social Security’s retirement rules recognize that retirees may elect to keep working even while receiving Social Security payments. The rules also allow you to start collecting a monthly retirement benefit before you reach full retirement age. People who wait until full retirement age before starting to draw Social Security benefits can earn an unlimited amount from work without affecting their retirement benefit, but those who started collecting benefits before full retirement age face limits on what they can earn from work. 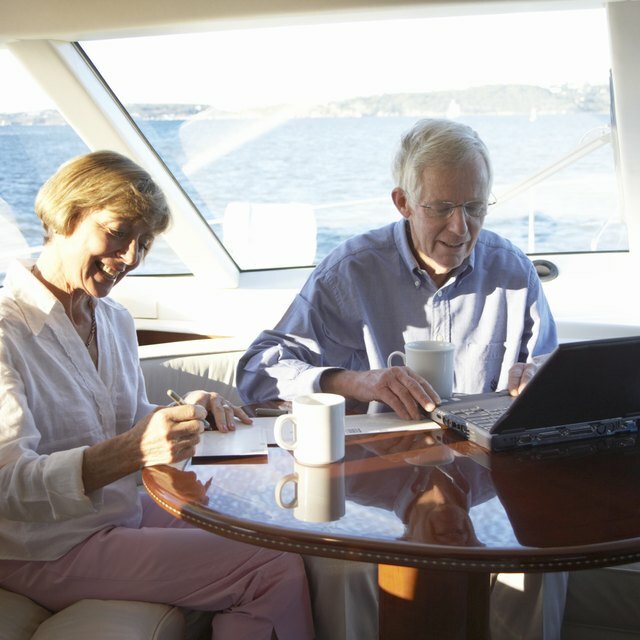 As of 2011, Social Security allows you to claim a reduced retirement benefit starting at age 62, but in return you must comply with limits on your earnings from work or face penalties. For people born in 1943 through 1954, Social Security rules specify your full retirement age is 66. For people born in 1955 and later, full retirement age is 67. For 2011, a person under full retirement age for the entire year can earn up to $14,160 with no effect on benefits. If a person reaches full retirement age sometime during the year, he is allowed to earn $37,680 from work without affecting his retirement benefit. People who were under full retirement age for the entire year will see their benefit reduced by $1 for each $2 they earn above the $14,160 income limit. In the year you reach your full retirement age, your benefit will be reduced by $1 for each $3 you earn above the $37,680 annual limit. You pay the over-earnings penalty in the year following the over-earning year. For example, if you get $1,000 a month, are under full retirement age for the entire year and earn $4,000 more than the limit, your benefit the following year will be reduced by $2,000. Social Security will withhold two of your $1,000 monthly benefit payments to cover the over-earning penalty. Technically, you won’t lose the penalty money. It will be repaid to you in monthly installments over 15 years, starting in the first full year of full retirement age. Does a Person's Retirement Income Affect Their Social Security Benefits? How Much Money Can I Make & Not Have to Pay Back SS? How Much Can I Earn Without Losing Social Security Benefits? Does it Matter in What Month I Begin Drawing Social Security While Working? What Is the Maximum Social Security Benefits You Can Draw? Social Security rules exempt many types of income from counting toward your earnings limit. The rules don’t count unearned income from sources such as pensions, annuities, interest, investment dividends or capital gains. They also don’t count income from government benefits, such as unemployment compensation. What does count are taxable wages paid by an employer and taxable net income from self-employment. For the earnings test, Social Security counts wages from an employer when they are earned. If you earned wages in December that were paid in January, they will count as December earned income. Income from self-employment doesn’t count until it’s paid to you. If you performed work as a self-employed person in December but didn’t get paid until January, the money would count as January earned income.